BIOFIAL HYDRAULICS manufactures three kind of power units, T.A., T.B., and T.D., the main componetnts of which originate from the top European firms. The power units are constructed from 3mm and 4mm thick steal sheets. Their main advantages include low noise level, credibility, ease in maintance and high esthetic. 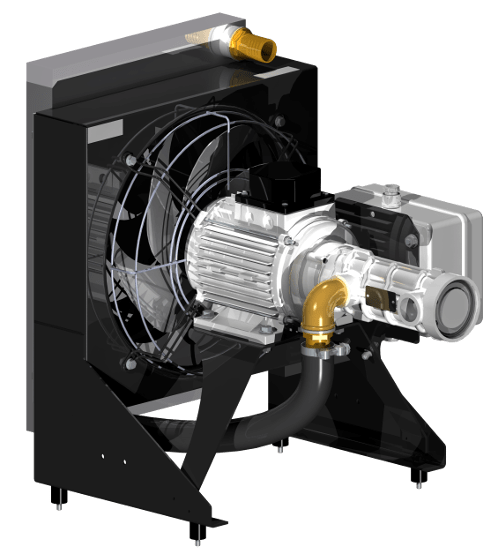 All the power units undertake meticulous function checks and total adjustments are made be experienced tchnical personel before their final delivery. Every power unit is accompanied by all the required certificates and detailed manuals for adjustment and proper maintance. The TD cabinet series is the ideal solution for projects were there is no space for machine room instalation (MRL). all safe. All the power units manufactured by BIOFIAL HYDRAULICS can be placed inside the TD cabinet. Its capacity is from 50 up to 300 l and it can be implemented at any place of the worksite.